Step 3: ​After clicking renew button, you will be redirected to the checkout page. Review and complete your order information and click on Proceed to pay button to complete your payment. Done! Your licenses are extended for another year now. 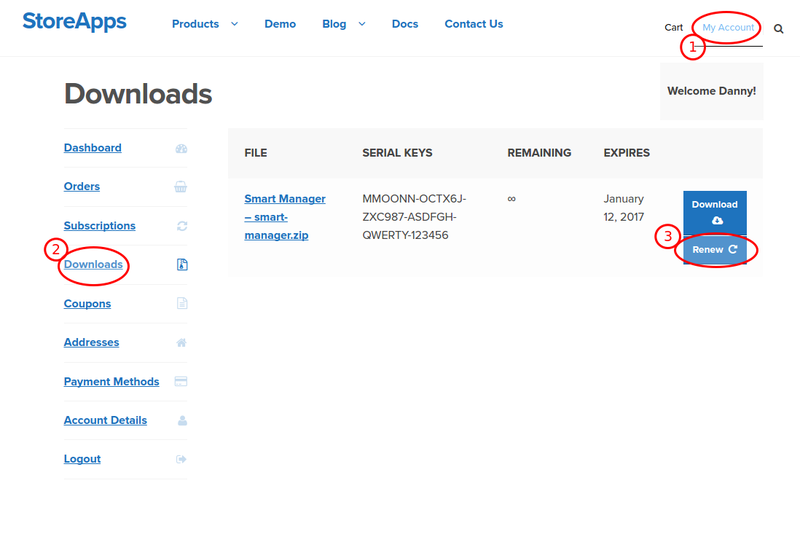 Note: The Renew link will only appear 30 days prior to the date of expiry of the plugin. And it will disappear 30 days after the date of expiry. Post that, you will have to repurchase the plugin at the full price. Our Recommendation: Avail the flat 50% discount while renewing, that is renew before the Renew link disappears from your account page. 50% discount is offered over the market price prevailing at that moment. 1. What Do I Receive When Renewing My License? Renewing your license entitles you to support and updates to your product. This ensures compatibility with newer versions of WordPress and WooCommerce, as well as bug fixes and new features and enhancements to the product. 2. If my license is expired, does that mean I can no longer use the plugin? 3. My Product Is Free, Do I Need to Renew? 4. Do you send Reminder Emails before my license is expiring? If you have not unsubscribed from our mailing list, then you will receive a renewal reminder email 30days prior to your license expiry. 5. Do I have to manually renew my Elite Club Memebership?